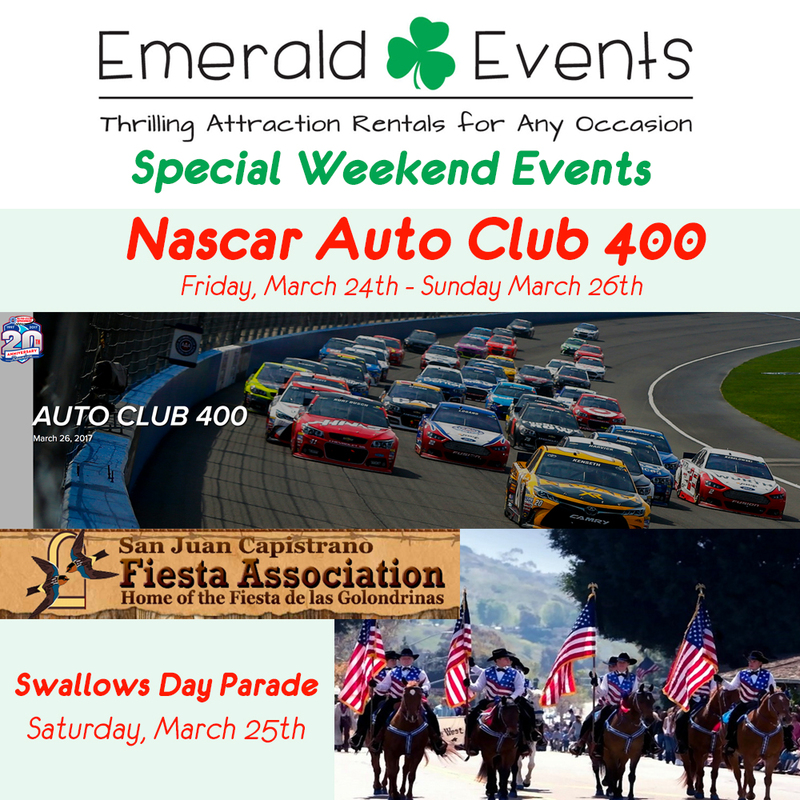 Our first and one of our biggest events it the Nascar Auto Club 400 held at the Irwindale Speedway from Friday, March 24th to Sunday, March 26th. Auto Club Speedway is celebrating their 20th Reunion Anniversary at this years Nascar Auto Club 400. Emerald Events and The Bubble Rollers™ will be rolling with the fun. Join us! For more info visit our calendar. For Event Info click HERE. 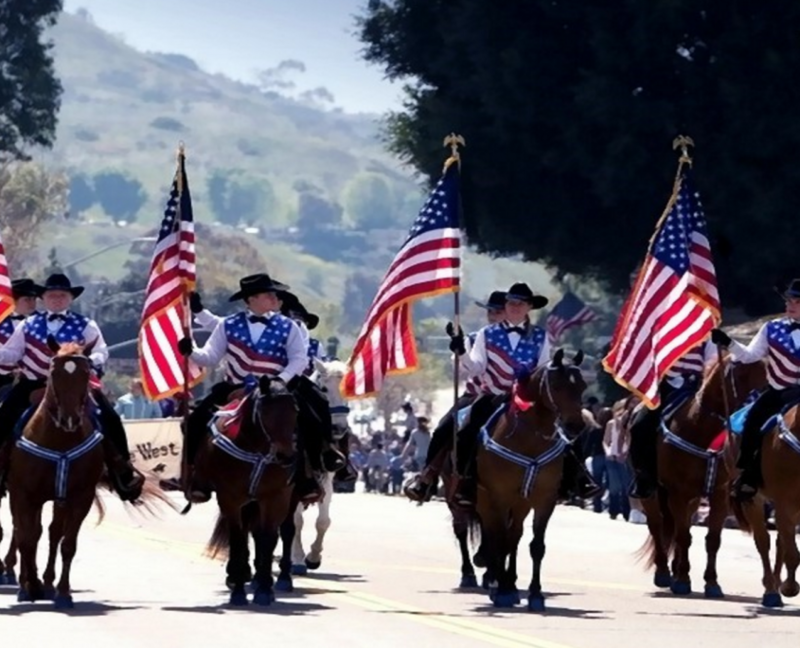 Join Emerald Events and The Bubble Rollers™ at the San Juan Capistrano Swallows Day Parade. It is known as one of the nation’s largest non-motorized parades, and is recognized as part of a world-wide celebration called Fiesta de las Golondrinas or Festival of the Swallows. The Fiesta de las Golondrinas is tied to the return of the swallows to the Mission San Juan Capistrano on St. Joseph’s Day. The Parade and Mercado will be held downtown. It is a full day of family-fun that celebrates the Old West and the return of the swallows from their winter home in Argentina. Arrive early, as street closures are in effect by 10:00 A.M. The parade begins promptly at 11 A.M.
For more info visit their site HERE. Remember, everything you see at these big events are also available for your own personal events! We rent out these attractions and they are always a huge hit at kids parties, church and school carnivals, corporate events and more! We hope to see you all there! Don’t forget to say hi if you see us. If you take any pictures make sure to tag #EmeraldEvents or #TheBubbleRollers!